One of the most asked questions I hear from people is, “What are you going to wear to stay warm?” I have to laugh a little bit, because it has been colder here in Iowa than it has been in Alaska. Yesterday morning, February 19, my school had a 2-hour late start due to cold weather. The temperature was approximately 25 degrees below zero Fahrenheit with the wind chill. The temperature yesterday in Fairbanks got up to 22 degrees Fahrenheit. Iowa also had a big snowstorm a couple weeks ago blanketing us with close to a foot of snow. Many parts of the original Iditarod trail are feeling the absence of snow, and now the absence of the Iditarod. Due to lack of snow and poor trail conditions race officials have moved the race restart up north to Fairbanks. Regardless of the recent warmer temperatures, I am prepared for bitter temperatures. 1. Feet: It is critical that your feet stay warm. While out on the trail I will be wearing a pair of well insulated Baffin boots. These boots are perfect for arctic temperatures as they are rated to 148 degrees below zero Fahrenheit. Along with my warm boots, I will be wearing comfy, cozy, wool socks. There is nothing like a pair of wool socks to keep your feet warm and dry. 2. Legs: My main pair of pants are The North Face waterproof, insulated ski pants. I will have to beef up my pants with some baselayers and possibly some fleece pants. 3. Upper body: Just like my legs, I’m going to be using baselayers to start off. I am bringing along some Dri-Fit tops and a couple fleeces. My “undercoat” will be a Patagonia down jacket. Last, but certainly not least, is “The Coat.” A goose-down parka with several pockets and a fur-ruff hood. 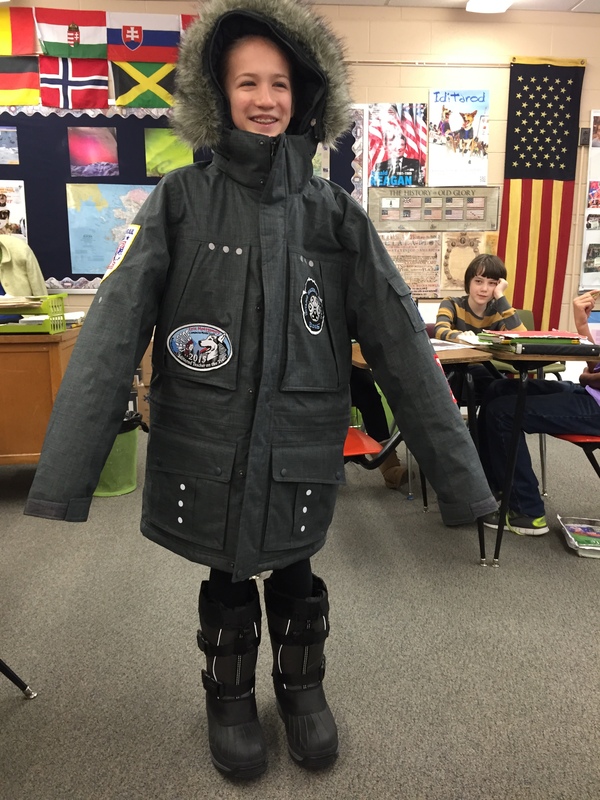 Terrie Hanke, 2006 Iditarod Teacher on the Trail™, sewed several patches and reflectors on the coat. 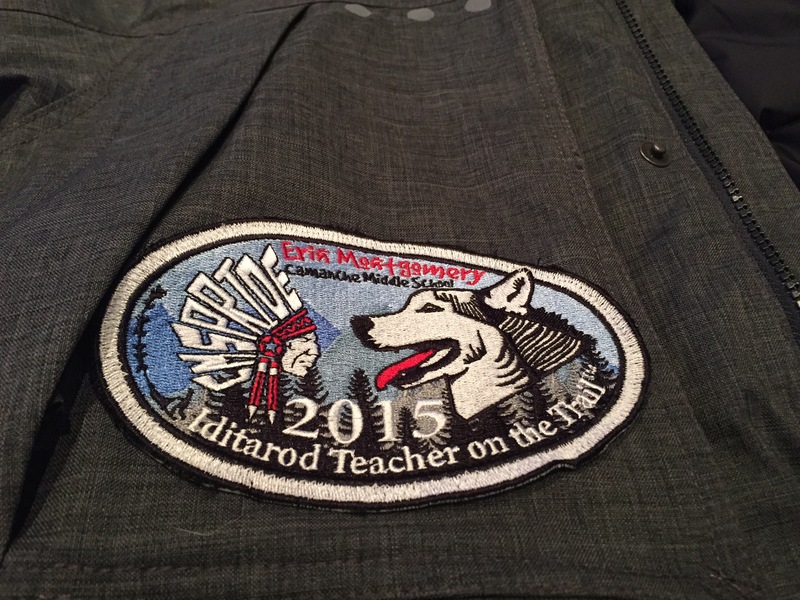 After the coat arrived at my house, I had my 2015 Iditarod Teacher on the Trail™ patched sewed on. 4. Head, neck, hands: On my hands I will start with a pair of liner gloves followed by the biggest mittens I have ever seen. I’m sure my hands will stay warm. My neck will stay warm with a gator which I can pull up over my face, too. I will not likely be stepping outside without my stocking hat. 5. Sleepy time: The infamous traveling sleeping bag will be my bed while out on the trail. Each year the Teacher on the Trail creates a patch to be sewed on to the official teacher sleeping bag. I’ve already zipped myself up in it a few times, seems warm and comfortable. There are countless stories the sleeping bag could tell us all. The amount of history and people this sleeping bag has met is remarkable. I look forward to adding to the rich history. 6. The Patch: When deciding on my patch I knew I wanted it to incorporate both the Iditarod and my school. I came up with an idea, but I am the farthest thing from an artist. I have a friend that works with me at school that just so happens to be an artist/designer. I showed her what I wanted and she ran with the idea. Everything I wanted she included, and then some. Staring at each other are my middle school’s logo and a husky. Our middle school logo is an Indian head, we are the Camanche Indians, with CMSPRIDE and two pencils in the place of feathers. If you concentrate on the black part of the husky you can see blended in his hair is the word Iditarod. Also included is a musher with his dogs and a mountainous background. I love it. After Liesl finished the final design, I went to my friend Colin at Adcraft Printwear. They turned Liesl’s unique design into an incredible patch. 1. You are going to the Ceremonial Start in Anchorage on March, 7. Make a list of everything you will wear. Plan on being outside for about 4 hours or more. Check the extended forecast for Anchorage. 2. You are heading up to Fairbanks for the Restart on March 9. Make a list of everything you will wear. Plan on being outside for about 4 hours or more. Check the extended forecast for Fairbanks. 3. Your teacher has been selected as the next Iditarod Teacher on the Trail™. Design him/her a patch that can be added to the sleeping bag. We have had to make a change in our journey. Due to lack of snow and poor trail conditions on several sections of the Southern route, the Iditarod Trail Committee has decided to move the restart to Fairbanks. This was a tough decision, but it is what is best for the mushers and dogs. 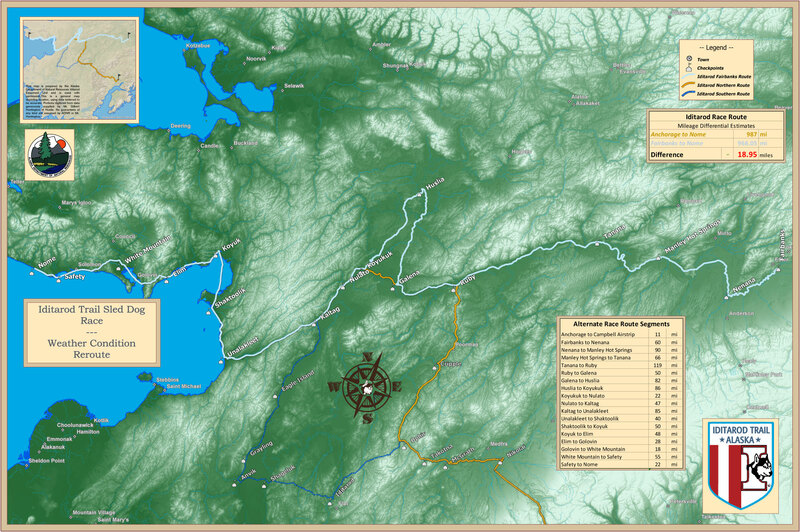 A map of the new route can be found at the bottom of this page. A new list of materials to use for the new route can be found here. Additional information can be found here. 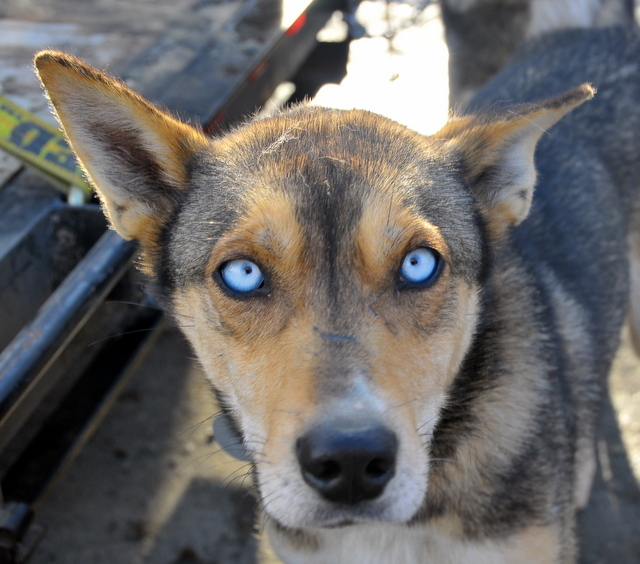 According to the new trail, mushers will leave Nulato and travel approximately 47 miles to Kaltag. 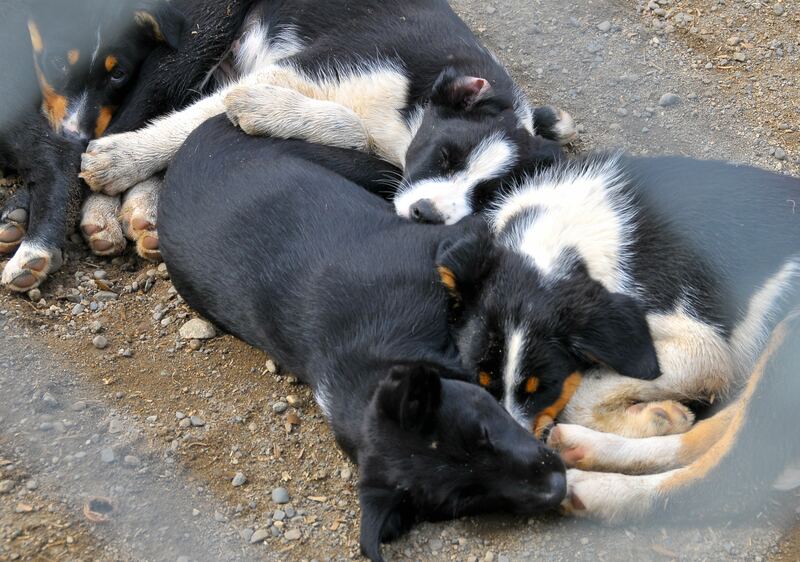 Mushers can plan on a 3-5 hour journey. 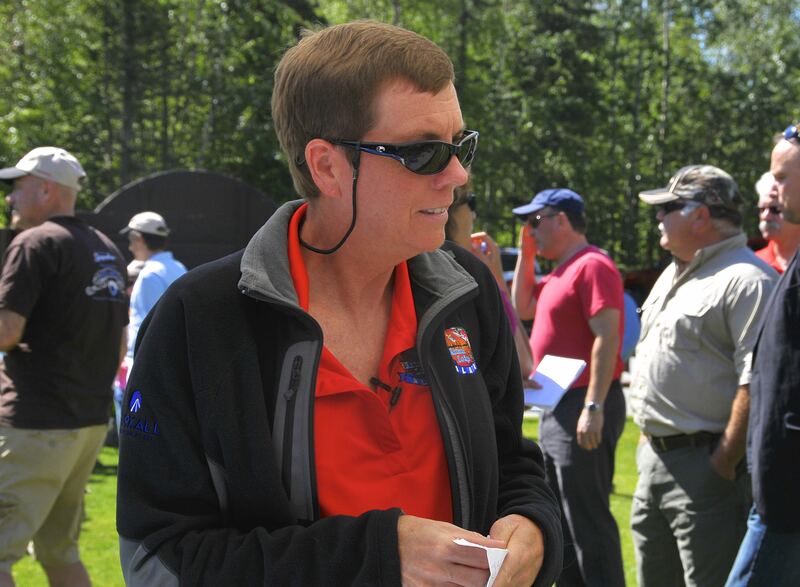 We will be following rookie musher Cindy Abbott to Kaltag. The 2015 Iditarod will be Cindy’s third attempt to cross under the Burled Arch in Nome. Her first attempt came in 2013 when she was forced to scratch due to a broken pelvis. Her second attempt was last year when she scratched in Rohn due to poor trail conditions and the safety of her dogs. As an avid fan and friend of Cindy’s, I feel this is the year we will see her in Nome. Cindy is a true inspiration to anyone with a dream. She was diagnosed with a very rare disease, Wegener’s Granulomatosis, but this has not stopped her from achieving her dreams. In 2010, while fighting this disease, Cindy made it to the top of the world as she summited Mt. Everest. My class has spoken to Cindy about this climb and she stated running the Iditarod is more challenging than climbing Mt. Everest. She has to take care of 16 dogs and herself out on the treacherous trail. 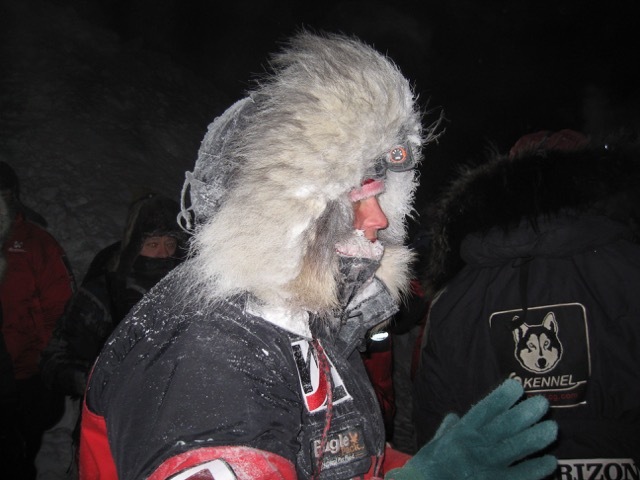 652 miles into the 2013 Iditarod, Cindy and her dogs depart Eagle Island for a long and painful run to Kaltag. Since day one, Cindy has felt an agonizing pain in her pelvis. Determined to make it to Nome, she continued on. For the first 30-35 miles the trail was flat, but had solid, crusty drifts. This was tough running for her dogs and even worse for Cindy. Every single bump along the way sent a wave of excruciating pain through her body. As she gets closer and closer to Kaltag, she will see it up high on the bank on the west side of the river. Before she arrives she will continue to bounce down the trail before she must make a short climb up the riverbank. When Cindy and the dogs arrived in Kaltag, her pelvis had collapsed to the point that she could not stand anymore. Before taking care of herself, Cindy’s number one priority was the dogs. She did all of her chores of taking care of the dogs on her hands and knees, she could not walk. At this point, she knew she would be scratching in Kaltag, it was what would be best for both her and the dogs. Cindy did not see much of Kaltag. She was taken to their new medical clinic where she was examined. The next morning she was flown out of Kaltag to a hospital. Cindy was heartbroken to leave her dogs. The relationship between humans and dogs is beyond words. The result of her injuries was a broken pelvis. Cindy had been running close to 700 miles on a broken pelvis. Cindy and her dogs will be back in Kaltag this year. The Fairbanks trail hooks back up with the original Iditarod trail in Nulato, just north of Kaltag. Determination, perseverance, hard-work, and a positive attitude will guide Cindy along the trail this year. Her journey to Nome began over three years ago. No matter how long it takes, she will cross under the Burled Arch. 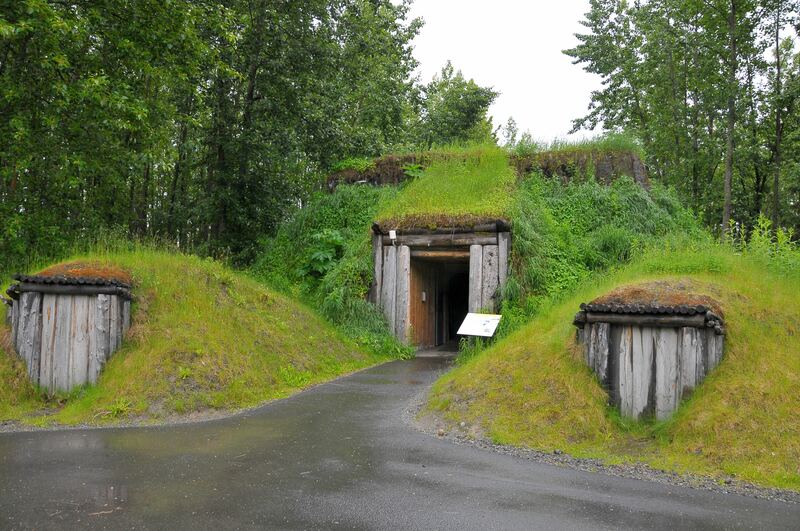 Read more about the village of Kaltag in Virtual Trail Journey. Read more about the trail between Nulato and Kaltag in Don Bowers Trail Notes. Think of a time when you quit something because it was too hard. Rewrite the ending to that story so you did not quit and finished.